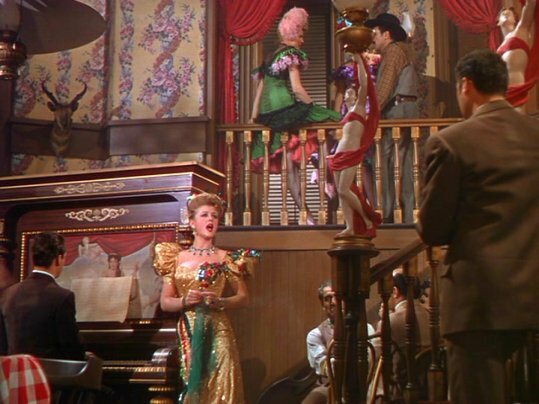 I grew up with movie musicals - they are my first love. Tonight's selection is The Harvey Girls made in 1946. 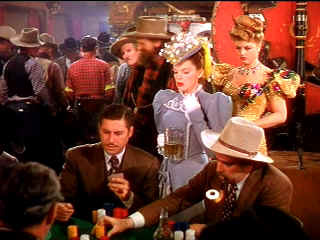 It's Judy Garland's movie, but as a bonus for me, 21 year old Angela Lansbury is in it! 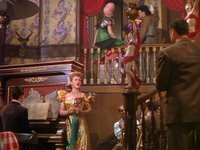 Unfortunately, Angie didn't sing for herself although she struts around in sassy saloon girl costumes and gets to play one of those tough as nails female characters that she was so good at in the movies. 24 year old Judy is marvelous of course. It's as corny as they come and I love every minute of it.